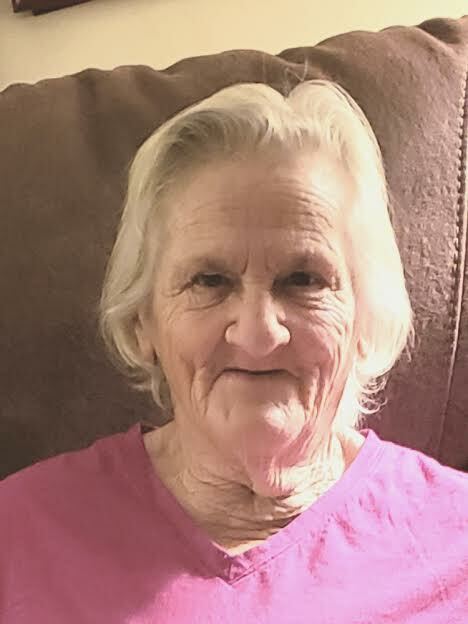 Cornelia (Connie) Savage, age 76, of Colchester, VT, passed away unexpectedly Friday morning, March 29th. She was born in Essex Jct. on December 8, 1942 to Marcus Wescott and Loretta (Beach) Wescott. In June 17, 1961, Connie married her best friend, Ronald Joseph Savage, Sr. They raised their daughter and 3 sons in Burlington, then Colchester. Connie worked as a furniture maker at Vermont Furniture in Winooski for a number of years. Then she became a crossing guard and custodian at the Essex High School for over 30 years, where she was greatly loved. After she retired, she moved to Bradenton, FL to live with her sister, Agnes, and became a very active member in their park. The friends she gained there became a second family to her. She and Aggie enjoyed their menagerie of birds, Bingo, Pinochle, decorating the outside of their home for the holidays, and feeding the stray cats. Connie was often seen riding her bike around the park. After Aggie’s passing, Connie moved back to Colchester to be near her kids and family. Here, she enjoyed feeding the birds and treasured the pair of cardinals that came by daily. She was especially a strong and courageous woman, who took care of her husband, sister, and daughter as they all lost their personal battles with cancer. Connie could be very quiet and stay in the background and other times a spitfire that wasn’t shy to let you know what she thought. She was often found riding her bike around the park in Florida and Colchester’s Porters Point area. She had a passion for dancing and greatly enjoyed scratch tickets. Connie also had a great knack for holding one particular little boy and being able to get him to sleep. She is predeceased by her parents, husband, daughter, and several siblings. She is survived by her brother Mitchell and wife, Marie (Camley) Wescott; sons Ronald Jr. and wife, Louise (Wheelock) Savage, Oliver and wife, Karin (Hokanson) Savage, and, Robert and Julie (Duquette) Savage; son-in-law Jack Saathoff; grandchildren, great grandchildren, and lots of nieces and nephews, and many, many friends. She will be sorely missed. Visiting hours will be held at Corbin and Palmer Funeral Home, Pleasant St., Essex Jct. on Wednesday, April 3, from 4 -7 pm.